After retirement, sometimes it can be hard to know what to do with all the free time. You can go from having social interaction with the community every day to waking up wondering how to spend the day ahead. If this sounds like you, find a local community to participate and become a member. Living in a rural area may even lead to social isolation, the nearest shop could be a 10-15 minute drive and you may only see a car pass your house every few hours. You could end up just pottering around the house every day, sitting and snacking unnecessarily leading to weight gain and drops in activity levels. Getting involved in an active age group in your community can help combat all those little worries that may occur when you retire. It gives you a great opportunity to finally rebuild friendships and relationships with people you may have grown up with as a child, hearing and learning about all the events happening in your locality and finally having your own social circle to attend within your community to reward all your hard working years. 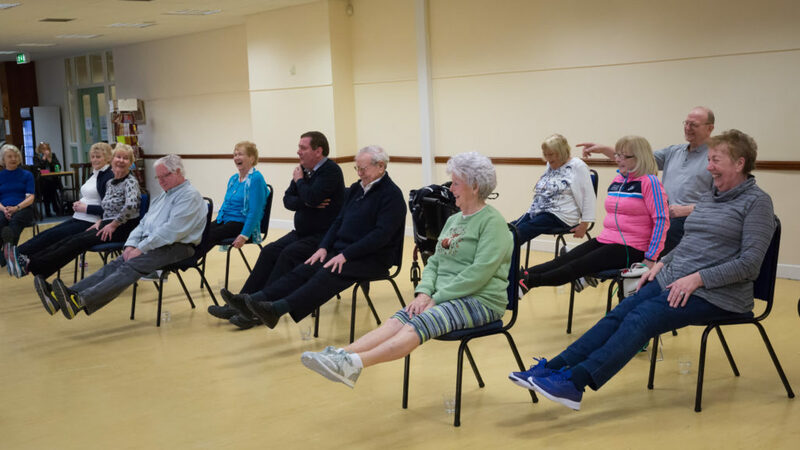 What could be more enjoyable; only to combine physical activity and a chat within your local community? After all, you’re years working, bringing up a family and much more, you may already think you have exercised enough but it is the basic activity levels that begin to deteriorate. Having a close-knit group to take part in physical activity allows for support, motivation and encouragement to keep you on your toes. It is always easier and more enjoyable to exercise when you have friends or people you know around you. Finally, it is important to get involved in your local community group, it will keep the body and mind active. It has a major positive role in combating social isolation which is one of the biggest problems for older adults. And of course, no matter what age you are you want to feel a part of the community you grew up in and be aware of all the local events and news happening on a weekly basis. Check out some of our community classes near you.